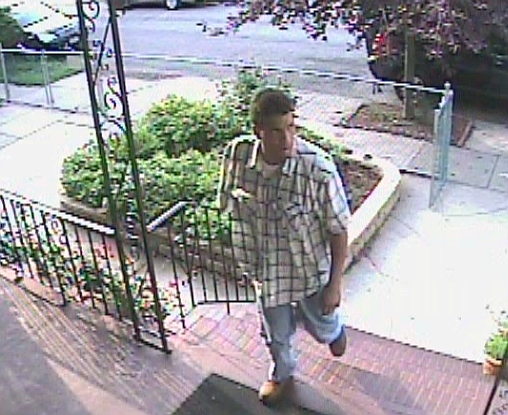 A recent theft in Woodhaven was caught on camera, and the Woodhaven Residents' Block Association (WRBA) is confident that someone will recognize the thief and help bring him to justice. The culprit appears to have only one arm. 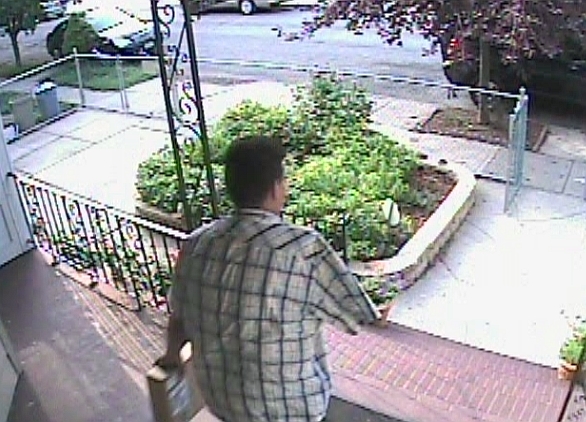 He stole a package from outside a house in the vicinity of 94th Street and 86th Avenue—and a surveillance camera recorded the entire crime. 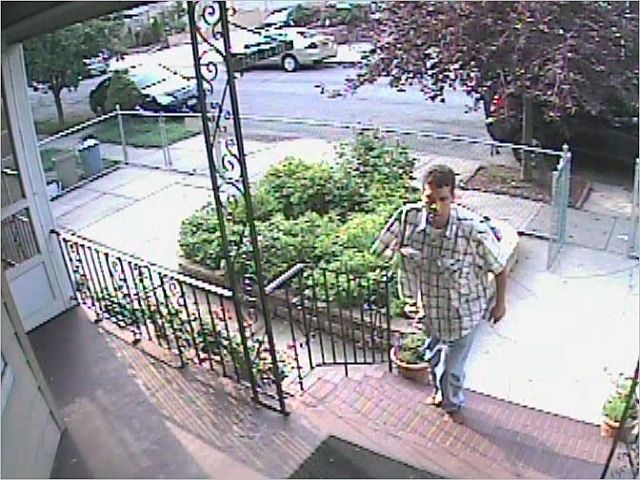 Late in the afternoon of Monday, July 23, UPS delivered the package to the residence and left it on the porch. Within two minutes, a silver minivan pulled over across the street. The driver of the vehicle waited seven minutes, then backed up the vehicle, exited, opened the gate, walked up to the porch, and took the package. A video of the crime is available online at bit.ly/PackageTheft. "You can be sure this isn't the first time he stole something that was delivered to a residence in the area," said Martin Colberg, a member of the WRBA's Board of Directors. "We know what the criminal looks like, we know that he seems to be missing his right arm, and we know he was driving a silver minivan. 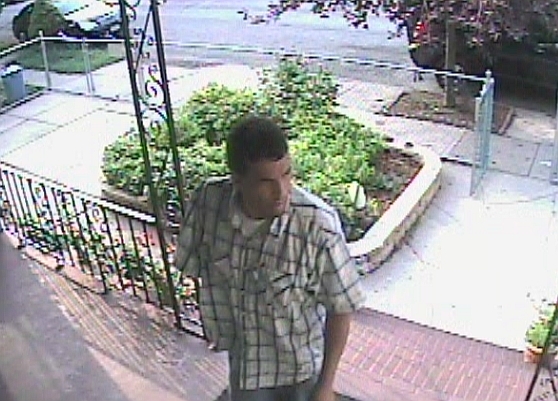 Someone out there will recognize this thief, and we want them to turn this guy in." 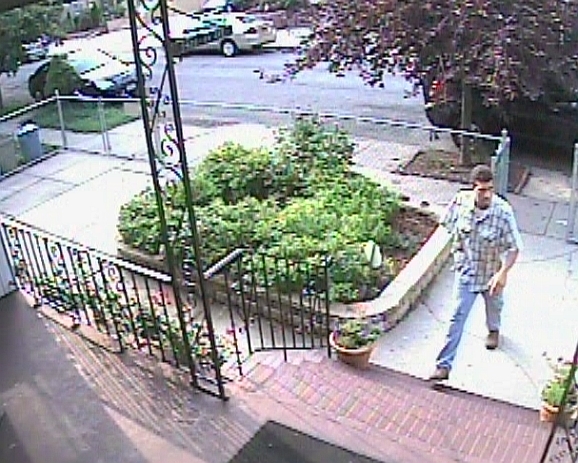 The video also provides several still images of the culprit. "This is yet another example of how useful video surveillance cameras can be for our neighborhood. Now we need to put this extremely strong evidence to work and make sure this thief gets caught," said WRBA President Edward K. Wendell. "He might be from Woodhaven, or he might be from a nearby neighborhood. Wherever he's from, you should let us know if you have any clues, because you might be his next victim." If you have any information that could help solve this crime, please contact the WRBA at 718-296-3737 or info@woodhaven-nyc.org. Or you can call the 102nd Precinct at 718-805-3207.